What is Sender Policy Framework, and How to Setup SPF Record? Have you ever received complaining messages from your users about emails sent to them from your email server, without your knowledge? Or maybe the emails you are sending are going directly to the users’ SPAM inbox? Problems like these can seriously affect your business. Your clients can get phished and send their private information to a fake address which is pretending to be you. This can damage your reputation and can lead to different bans for you. 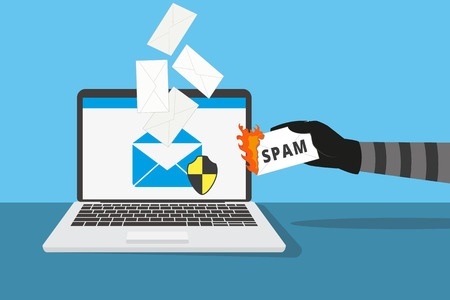 If you have such problems, then you need a Sender Policy Framework (SPF) to prevent spoofing and improve the reliability of your e-mail server. It is a validation system that verifies the legitimacy of your email server. To use it you need to create an SPF record for your domain name. It is a type of DNS record that verifies which email server can send emails from the name of the specific domain. Now when you know what an SPF record is, you can watch the following video tutorial how to add it. For more information, you can also check our wiki page about SPF record and TXT record. The benefits of adding an SPF record are clear, stop the illegal spammers from using your domain name to send a fake email and to be phishing private data. In the other hand, it will reduce dramatically the number of your email that goes directly to SPAM by recipients. So, do that extra text and add this SPF record to your DNS for additional protection.